Vocational training for ultra-Orthodox (Haredi) Jews looking to enter the tech sector is the only way for Israel to move forward, said Noam Bardin, the Israeli CEO of Waze and a vice president at Google. Israel is quickly rolling down a slope to the bottom of the OECD’s ranking when it comes to student and civilian achievements, he added. 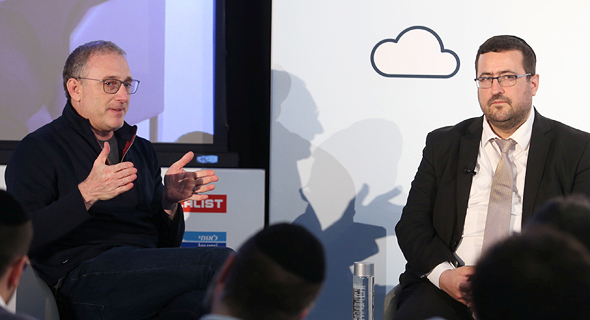 Bardin spoke Thursday at Calcalist’s Mind the Tech conference in New York at a panel with Moishe Friedman, CEO of Israeli nonprofit KamaTech, which is dedicated to integrating Israel's Haredi population into its technology industry. 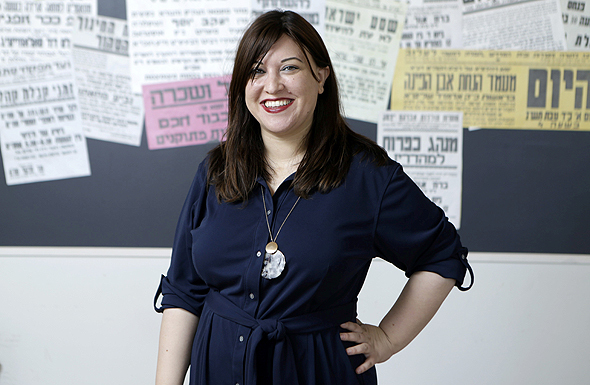 Through its accelerator program, KamaTech has supported 40 Haredi startups employing over 500 people since it was founded in 2013, Friedman said. Still, while ultra-Orthodox Jews make up 12% of the Israeli population, they amount to just 1% of Israeli tech workers, he added. KamaTech led a delegation of Haredi startups to the conference, where they had the opportunity to pitch their technologies. “My grandmother purchased a life insurance policy when she was young, and 30 years later she just couldn’t afford to pay for the premium so she had to sell her policy for a fraction of its worth,” Yaacov Goldenhersh, co-founder and CEO of LiST Settlements said. Founded in 2018, LiST develops a life settlement marketplace where life insurance policy owners can find investors in exchange for a small portion of the total sum their relatives are due to receive. Life settlements is an expensive business and LiST lets small and medium investors enjoy a piece of the pie while helping policy owners maintain their rights, Goldenhersh added. LiST is based in Herzliya, a town in the Tel Aviv area. New York-based Winfluencers Inc. connects advertisers for the women’s lifestyle industries with prominent social media users known as influencers. “Influencers will drive the future,” said Moe Mernick, founder and CEO of Winfluencers. "59% of millennials believe the workplace should be a place where new knowledge is accumulated all the time,” said Chedva Kleinhandler, co-founder and CEO of employee enrichment startup Emerj, registered as MRJ People-Tech Ltd. Founded in 2016 and based in Bnei Brak, a Haredi Tel Aviv suburb, Emerj develops a search engine that uses machine learning to help corporations connect their employees to various mentors that already work for the company. The most valuable resource companies have is the knowledge and experience that their employees have accumulated over the years, Kleinhandler said. Emerj’s technology is able to map these skills and connect relevant employees, she added. 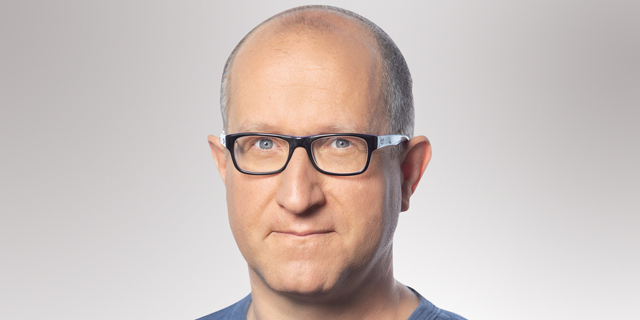 CamDoc set out to save money and time wasted on unnecessary visits to the doctor due to viral diseases that have no viable treatment, Joe Cohen, an executive at the Haifa-based company, said. Founded in 2018, CamDoc develops a mobile app that can diagnose strep throat by analyzing a photo taken on a smartphone. CamDoc’s app uses machine learning and artificial intelligence algorithms to differentiate between bacterial infections and viruses. As the world’s population continues to grow, technology will have to revolutionize agriculture in order to feed all these people, said Rivki Aizen, co-founder of agtech startup YieldsApp. Founded earlier this year and based in Hod Hasharon, a town in central Israel, YieldsApp develops AI-based agricultural management software. YieldsApp’s software analyzes real-time data from sources such as smart sensors, satellite data, and aerial photography to detect pests and crop diseases and suggest possible courses of action. “We have an elaborate bot system that analyzes the data and through a series of simple questions can tell farmers exactly what to do the next day to address the issue,” Aizen said. Bnei Brak-based Ideeza wants to be for product development what Wix.com Ltd. is for website building, said Moran Bitton, co-founder and CEO of Ideeza. Founded in 2017, Ideeza offers an online product development service that allows users to design personalized IoT devices. “Customers design their own products from scratch in just a few minutes,” Bitton said. Jerusalem and Kfar Saba-based TakeOver Systems Ltd.’s device will let car owners control their vehicles from anywhere in the world using their smartphones, co-founder Chananya Shachar said. The device currently allows users to remotely shut down the car’s engine, he added. In the future, the owner will be able to see when someone bumps into the car or attempts to steal it, and react accordingly from afar, Shachar said. TakeOver was founded last year.